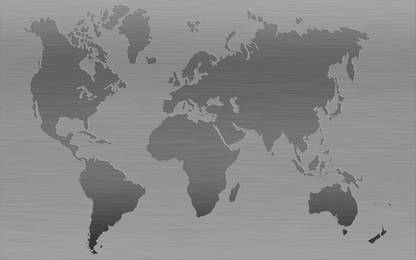 Our passion is the individual symbiosis of special protection and luxury experience. Tireless pursuit of perfection down to the smallest detail allows us to master this challenge continuously. The heart of our company has been beating for 30 years to create products that meet the high standards of protection, extravagance and freedom. ALPHA ARMOURING® is the only manufacturer of vehicle refinements worldwide that sets new standards in planning and conception. Let yourself fall - dream – we will catch you. Our designers capture your inspiration and distill a visual assurance from it. The specialists of our manufactory guarantee its implementation 100 percent. 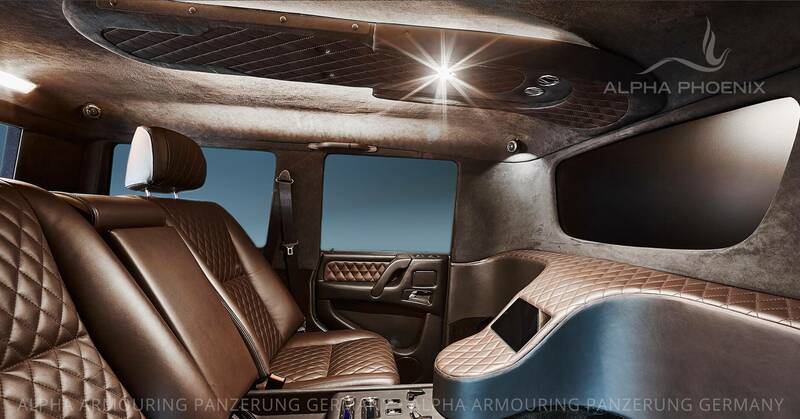 Experience the presence of multiple manifestations of armored vehicles during a visit to our manufacture facility. Take part closely in their luxury finishing or extension. Get carried away in a surge of sensual impressions of truly passionate craftsmanship. There you will be in the center of the production forge for strictly limited masterpieces by ALPHA ARMOURING® with their reverently esteemed quality requirements. At ALPHA ARMORING® Panzerung GmbH, we produce exclusive special armoured vehicles based on one principle alone: ‘AN UNWILLINGNESS TO COMPROMISE’! Special constructions, vehicle refinements, body modifications, wheelbase extensions and the creation of highly individual luxury interiors. At ALPHA ARMOURING® Panzerung, we produce exclusive special armoured vehicles based on one principle alone: ‘AN UNWILLINGNESS TO COMPROMISE’! We proudly present the latest masterpiece from our armouring manufactory. The ALPHA TITAN®. 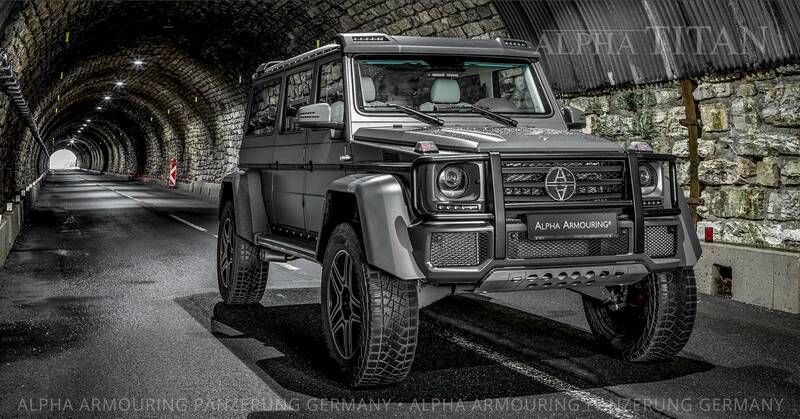 In rough terrain with the armored ALPHA PHOENIX® If you want, you can do that, and if you have to, then you should do it! The myth lives: Just as the mythical race of giant gods, known as the Titans, raised themselves to Olympus - completely new prospects are raised by the ALPHA TITAN®. 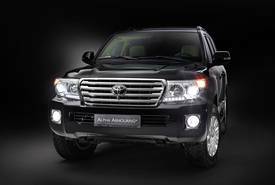 You don't just step into the ALPHA TITAN® you mount the ALPHA TITAN® Enjoy the freedom to travel to previously inaccessible locations. 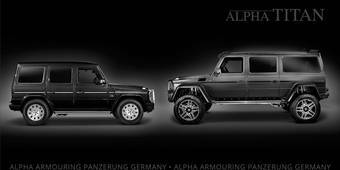 The ALPHA SPHERION® armouring system provides you with the opportunity to share these experiences with your loved ones. Human life has an immeasurable value. The concept of safety embraces everything concerning the protection of human life. At Alpha Armouring Panzerung®, we have set ourselves the goal of ascertaining how security can be most effectively achieved through the use of armoured vehicle technology in order to maximise personal protection. 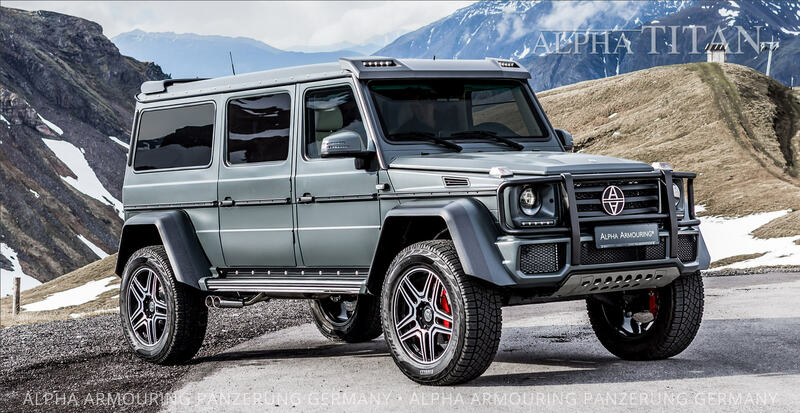 Equipping a vehicle with armour focuses on substantial protection measures to ensure the maximum security of the individuals who require protection. An increase in security requirements has been noted over the last few years, following attacks on individuals involved principally with politics, economics, the military, and security. 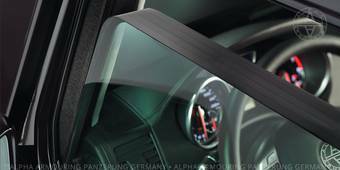 To off er our customers a maximum level of diversity of design, we develop the vehicle interior concepts of ALPHA SPHERIONs® n our design department in close collaboration with our highly skilled car body building and upholstery specialists. 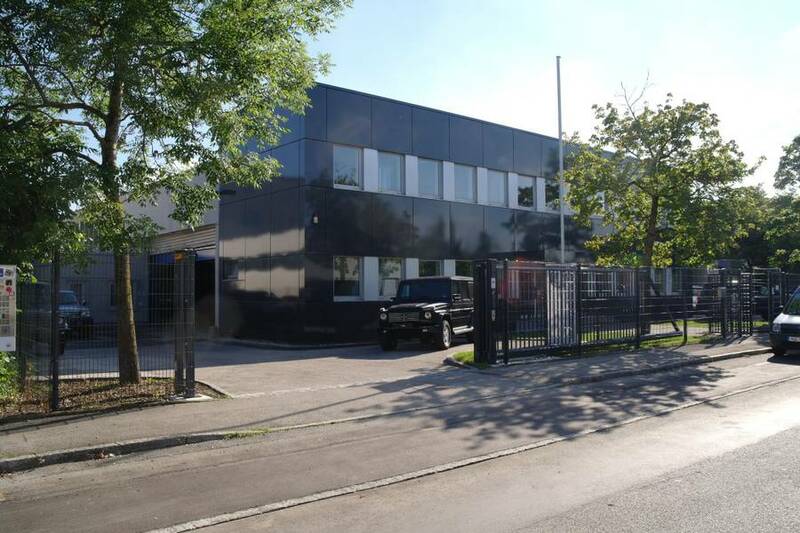 Our designers take up our customer‘s ideas and develop a vehicle concept – with pleasure and in close cooperation at the ALPHA SPHERION® site – which even meets the most exceptional wishes and requirements of our customers. 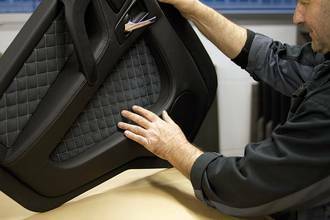 To off er our customers a maximum level of diversity of design, we develop the vehicle interior concepts of ALPHA SPHERIONs® in our design department in close collaboration with our highly skilled car body building and upholstery specialists. At Alpha Armouring® Panzerung we set out to satisfy mankind’s primeval need for shelter. For those who find themselves exposed, we develop concepts of safety and security. 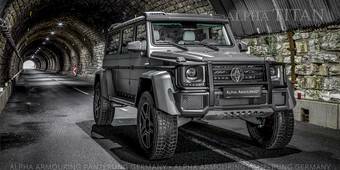 To satisfy our clients’ highest expectations, we consistently specialise in armoured SUVs and off-road vehicles. Thanks to continuous innovation, our products embody the quality that can only be achieved through specialisation. In matters of both safety and comfort, we accept no compromise. Our goal is to provide state of the art security. We combine the highest standards of comfort otherwise reserved for luxury limousines with superior technical security to create armoured vehicles that are based on SUVs. Why not see for yourself why we ranked as the industry leader in quality for more than 30 years! There is only one ALPHA ARMOURING® Munich. 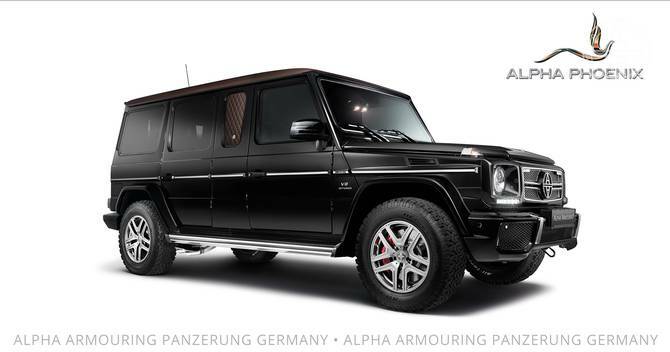 is only authentic from ALPHA ARMOURING® Munich. Do not trust any other manufacturer claiming to belong to ALPHA ARMOURING®! Please let us know when you read or hear such statements. The interior of all ALPHA ARMOURING® models is finished to an uncompro-mising standard. The use of materials together with the finest patterns and textures, combined with choices of colours, show our passion for quality. Our superior craftsmanship enables us to satisfy the most extravagant tastes. 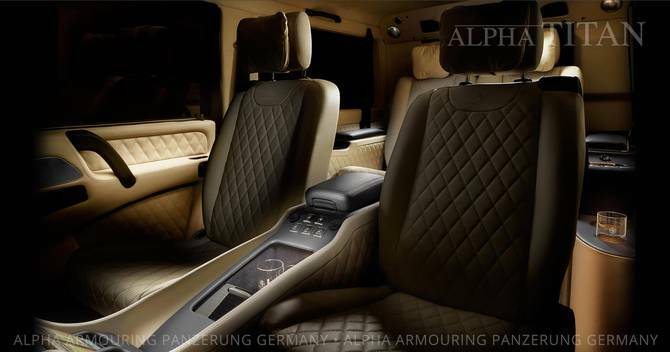 The interior of all ALPHA ARMOURING® models is finished to an uncompromising standard. The use of materials together with the finest patterns and textures, combined with choices of colours, show our passion for quality. Our superior craftsmanship enables us to satisfy the most extravagant tastes.